One of the most commendable advancements made by science is in the field of medicine. Research has led to the discovery as well as invention of a number of medicines, surgeries and therapy techniques. 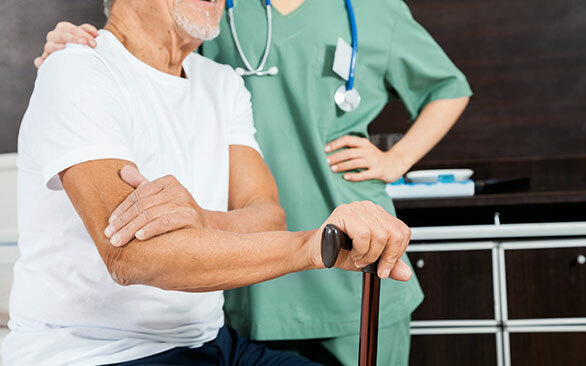 Occupational therapy is these days helping patients recover from extreme forms of disabilities.The therapy that we, at Professional Healthcare Resources, aim to give to our patients has helped many in leading a better life. Our organization was founded in 1994 by Eileen DeCesare with offices in Baltimore, Arlington, Kensington and Washington. Our one-minded dedication and personalized care has made us the best in the field. Our patients receive respect and compassion with not only helps them heal physically but also emotionally, as physical trauma can cause severe emotional distress as well. Below we have listed a few points which will tell you of the uses of occupational therapy. Have a read. The lucky patients are the ones who require little to no occupational therapy. However, the unlucky ones often give up on the hope of ever leading a normal life. They do not believe they will be mobile again and will be able to do all their work for themselves. Occupational therapy can remove this doubt from their minds. Even the most severe cases of trauma have been known to have shown remarkable progress with limb movement after therapy. The one point that doctors and therapists agree upon is that a body that is not mobile is at a high risk of infection and atrophy of muscles. Sometimes occupational therapy is recommended even when the chances of improvement are slight so as not to cause more damage to the body internally and externally. So, if you feel you or somebody you know can benefit greatly from occupationa therapy, call us at 703-752-8700.